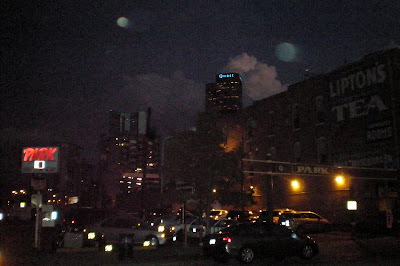 I took this photo walking back from Coors Field to my car Tuesday night. Fun times. Click here for more sky photos. It looks like there are two moons? Is the one spot a water droplet? I like this shot. I hope you had a nice time. Thanks so much for playing along with us! Have a beautiful weekend!!! That IS a nice shot. I love a city skyline at night. It does look like there are two moons. Great photo! that is an awesome picture! we toured Coors Field several years ago when we were in your area; what a cool place it was! must be awesome to see a game played there!